If you're wondering what Evonne's been up to, she's quite a busy lady. 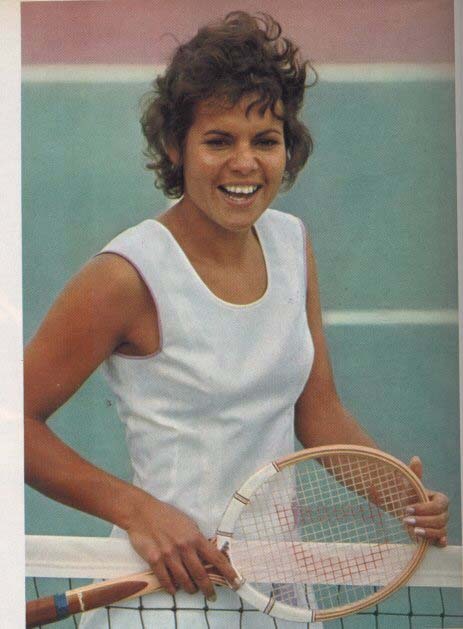 Evonne has been Fed Cup coaching, coaching her own up and coming champions in her Getting Started program, running the Goolagong Cup, amongst many other activities which you can find information about on this site. 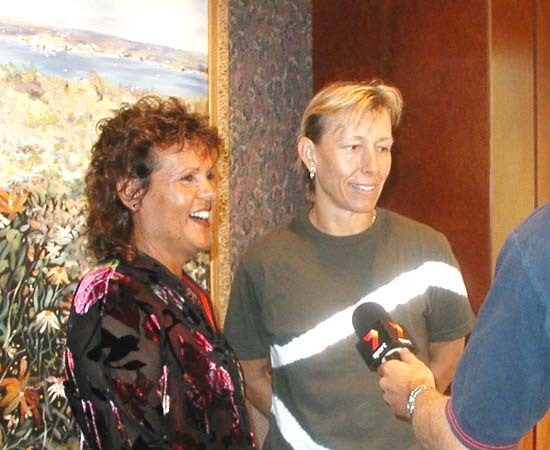 EVEN in her absence, injured Alicia Molik has played a key role in the Australian women's most successful home championship of the past decade. Fed Cup coach Evonne Cawley said yesterday Molik's maiden WTA singles title in Hobart last week had spurred Nicole Pratt, Evie Dominikovic and Samantha Stosur to reach the third round at Melbourne Park. "I always had Margaret Court to push me. 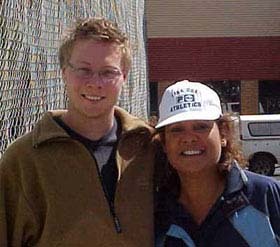 She was the one that spurred me on, being a great champion, and I always had some great matches against her," Cawley said. "It's always good to have someone like Alicia come through. It only takes one to inspire the rest. I'm sure they are looking at it and saying 'If she can do it, I can do it'. "I also think the programs Tennis Australia have put in place are working. It's an exciting time for me to come on the scene." Pratt said Cawley's presence and encouragement at tournaments was welcome after many years of feeling neglected. "From the day she walked in, she believed in us enough to take the job," Pratt said. "Which was to say 'I believe in you girls, you can do something with this Fed Cup team'. She said we needed to make it a team, help each other out. "She doesn't have that huge involvement day to day. But to know there's someone sitting there who cares about you as a person and a player and has been there and done that, it gives you a certain amount of confidence." 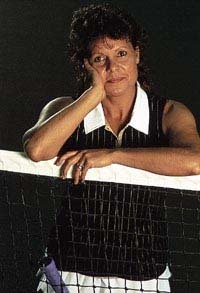 Cawley said she was surprised by the lack of recognition for women's tennis in the country. "That's really part of my job, to try to get recognition back to women's tennis, in particular Fed Cup. It's sad in some ways that during my travels around Australia, there are a lot of people who don't know what Fed Cup is," she said. "And I'm damned if I'm going to tell them it's like Davis Cup except for women. But I don't know any other way to explain it. I try to explain it to the young girls as having the honour of playing for your country like I did nine times which is Fed Cup." Cawley said age should not stop Pratt from building on her Australian Open success. "If she can keep herself very fit. She's one of the hardest workers I know, she loves it. Look at Martina (Navratilova), she's still playing good doubles." Looks like Evonne's involvement has been a huge plus to the Australian players. Way to go, Evonne! Please write me about this site or if you have tapes of Evonne matches!